Every Kentucky Bourbon Distillery has its own unique features and is an important piece of the Kentucky Bourbon puzzle. No two distilleries are alike, and some are so vastly different you may think they have nothing in common other than a minimum of 51% corn in the mash bill. Distilling is part of Kentucky’s lifeblood and distillery tourism is a great way to gain a better understanding of Kentucky’s culture and heritage. Most distillery tours follow a set pattern from grain to bottle, or at least from wherever they happen to start and end at that particular facility. Some start with grain and end with barreling and barrels are then shipped to a storage facility and then later bottled elsewhere. Some facilities only store and bottle whiskey. Many of the larger distilling companies have campuses spread throughout the state. Visitor Center experiences are a great way to get an overview in a way that is designed to be entertaining for even those who aren’t whiskey geeks. The Evan Williams Bourbon Experience combines video reenactments with speakeasy mock-ups to create a Disney-like bourbon experience. The Jim Beam Urban Stillhouse features a tiny working still, a bottle-your-own experience, and a bottle carousel that ferries your newly-filled bottle to the cash register on a track along the ceiling, making for a very Willy Wonka bourbon experience. There are some basics to know for any distillery tour- wear closed toe shoes, call ahead to make sure they are open, and don’t overbook yourself. Other than this, you really have to experience each distillery for yourself. 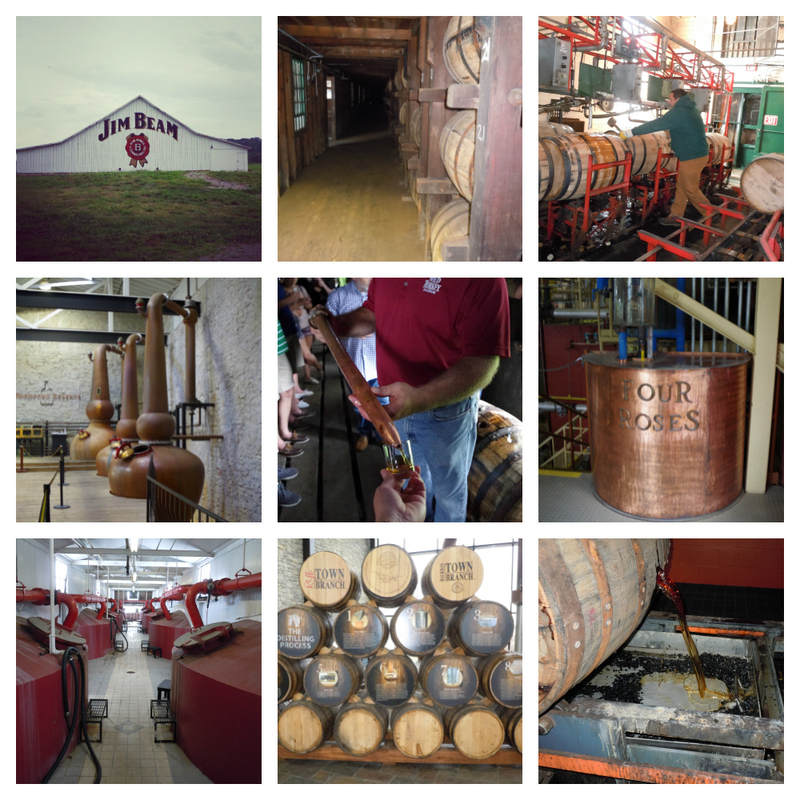 Once you get a few stamps in your Kentucky Bourbon Trail Passport you will see what I am talking about.